Sarah’s practice encompasses the areas of business planning, general corporate and securities matters, mergers and acquisitions and secured lending. She has significant experience counseling both public and private clients in connection with strategic transactions, including asset and stock acquisitions and dispositions, mergers, joint ventures, recapitalizations, reorganizations, tender offers, going private transactions, stock-for-stock acquisitions and acquisitions of minority interests. In addition, Sarah is highly skilled in structuring and documenting complex business arrangements for her clients, such as distribution arrangements, product licenses and agreements relating to the auto manufacturer-dealership relationship. She also represents lenders in connection with secured transactions, with a focus on credit facilities secured by partnership and other investment interests. In addition to working with a broad range of technology, manufacturing, and investment companies, Sarah has specific concentrations in the representation of financial institutions, motor vehicle manufacturers and companies involved in the renewable energy industry. As a member of the Motor Vehicle Group, Sarah represents motor vehicle manufacturers in a variety of transactions and contractual matters. Her practice in this area is concentrated in motor vehicle franchise matters, including assisting clients with the appointment of new dealers, drafting and implementing new dealer agreements and operating standards, navigating the sale of a dealership and the manufacturer’s right of first refusal, and terminating a dealership and documenting the manufacturer’s repurchase obligations. Sarah also advises clients in establishing key policies and programs such as brand standards and incentive programs. As a member of the Financial Institutions Group, Sarah handles corporate and securities transactions for financial institutions, specifically in bank branch dispositions and acquisitions, going private transactions for public bank holding companies, and restructuring of bank holding companies for the election of Subchapter S treatment. Sarah also has experience assisting public ethanol companies deregister with the SEC and represents companies in the wind industry in a variety of matters. 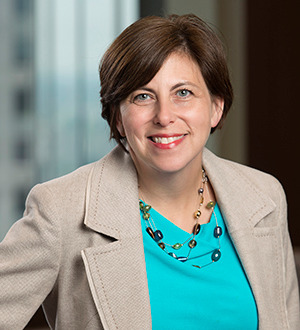 Sarah is an active member of numerous firm committees and is former co-chair of the firm's Pro Bono Committee.